Sad days, the Landy has finally been sold! Good luck to the new owners, hope they have as much fun in it as we did! So here’s to the next project and TrekUSA starting May 2014….. the name is still a work in progress. And I was only looking at this yesterday on ebay!. Now onto the next chapter of a new vehicle!, make sure you keep us up to date on the prep for the next big adventure. Trek USA does have a ring to it! Hi Simon, I’m the new keeper of the landy. I will look after her well I promise. Got some new toys on the way for her’ like 3 rear seats some one of my kids does not have to walk. Still working out how think work on her. I.e is there a switch for the water pump some where and what with the switches in the battery tray. Hi Neil – were are you planning on heading with the 130? Another long trip? 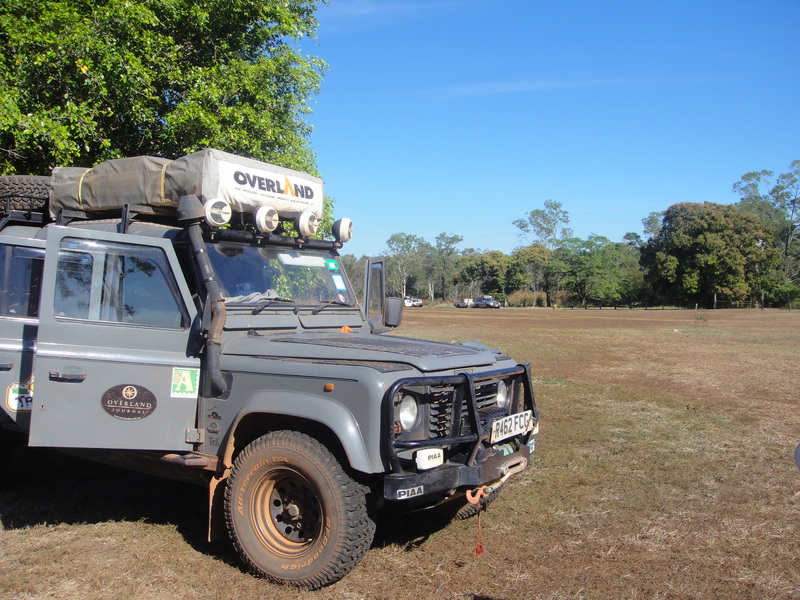 just got back from a 2 yr round africa tour – 75000 miles in a 130 defender – one thing i want for next trip is a dual wheel carrier – how did you get on with yours? whos was it? The wheel carrier was a one off made for me by Douglass Motors in Dorset. You can google them for contact details, ask to speak to Marcus. Can’t remember how much it was, sorry. The carrier held up very well, and apart from me reversing into something, it suffered no damage or failures. The light units however where not so good. I had a lot issues with them, if I was to do it again I would fix the lights to the top of the rear cubby and not have them attached to the wheel carriers. Think Footloose have some examples of this on their web site.